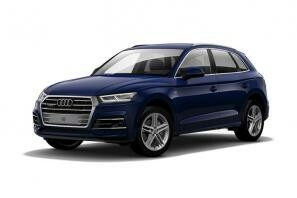 Find the best Audi Q5 leasing deals at CarLeasing.co.uk. The 2018 Audi Q5 doesn't seem all that different than its predecessor. But upon closer inspection, it turns out that the new Q5 -- the first entry in the vehicle's second generation -- is bigger, sleeker, faster, lighter and just plain better than the first-generation version we've been admiring since its debut for the 2009 model year. Find your perfect Audi Q5 by browsing our deals below. Choose from a range of optional extras and even insurance or maintenance if you want complete peace of mind. Our latest Audi Q5 leasing deals. Click the links below to view our latest Audi Q5 leasing options. 3 reasons to lease your next Audi Q5 from us. We deliver your brand new Audi Q5 vehicle for no additional cost.